ice.NET is a software platform for efficiently building future-proof information systems, data warehouses, portal solutions and collaboration spaces. It is the foundation of powerful software solutions for supporting processes along the product lifecycle across disciplines and industries. ice.NET is the foundation of PDTec’s powerful standard software solutions. They can be customized to customer specifications and enhanced with other platform components. ice.NET has also been successfully used to build custom software. By utilizing the platform’s components, developers can design highly powerful solutions with minimal effort while relying on PDTec’s expertise as a development partner. ice.NET is the logical extension of PDTec’s service-oriented product approach. Its goal is to effectively satisfy the high integration and collaboration requirements of today’s global, inter-enterprise product development and lifecycle processes. 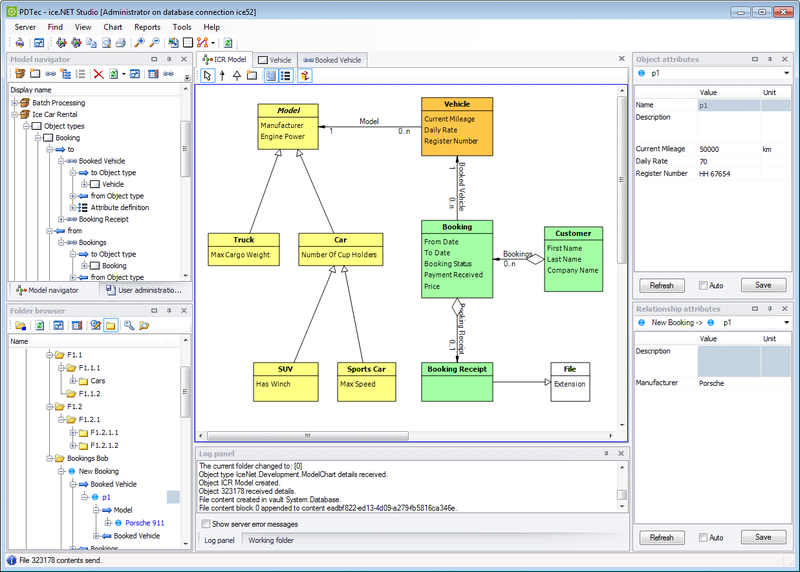 ice.NET was rigorously designed using proven principles such as object-oriented model representation and UML modeling. 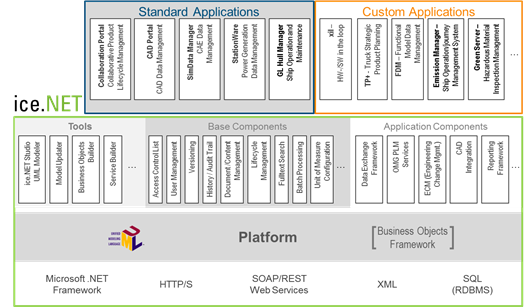 The core of the ice.NET platform is the Business Object Framework, which provides a runtime environment for the UML models and business logic. Base and application components provide the features and services needed to efficiently manage information throughout the product lifecycle. Users can pull up a web browser or a smart client as their graphical user interface. ice.NET supports a variety of SQL-based database systems to ensure the persistence of managed information. XML, SOAP and web service interfaces provide the connectivity to external systems that is needed for integration and collaboration. ice.NET-based software solutions deliver impressive performance in internet scenarios and can scale across multiple application servers (e.g. web farm). ice.NET has proven its value in various product lifecycle applications. 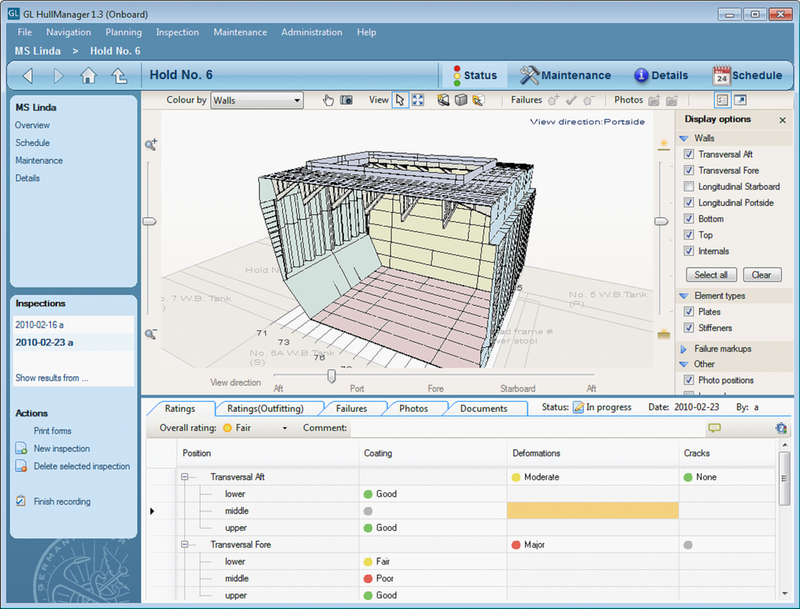 ice.NET-based software solutions are used not only in carmaking and shipbuilding, but also in other industries such as utilities. It offers the kind of flexibility and performance needed specifically for non-mainstream applications whose requirements go beyond conventional PDM/PLM features and data models. As an intermediary between the demands and wishes of the users and the ideas and ways of the developers, it was particularly important for me to have found in the PDTec AG a partner who can offer not only the powerful and flexible base software ice.NET, but also an understanding of mechanical engineering. Thanks to this combination we were able to implement our concept, to establish a management system for technical data generated in shipbuilding development and approval process, convincingly in a short time. The tools of ice.NET platform have delivered in all phases of the project, from the design model to software development, adaptation and revision of the data model to the migration of legacy data, an excellent support.